The story of the fur trade in Teton Valley as it has never been told before. Pierre’s Hole! studies forty years of contact between native peoples and Euro-Americans in the early Rocky Mountain West, using new information that has come to light since Benjamin W. Driggs first published the valley’s history in 1926. In the early 1800s, a thriving trade in furs destined for the international hat market brought trappers and increasing numbers of Indians into Idaho’s Teton Basin, just across the Teton Range from Jackson’s Hole. This commerce created a favorite rendezvous location and a thoroughfare for both populations. One of the most active centers of the Rocky Mountain fur trade, the Teton Basin provided the stage for many dynamic personalities and dramatic events of the era. A close look at Pierre’s Hole connects the reader to the entire sweep of fur trade history in the American West, from Fort Astoria on the Pacific Coast to the trading houses of St. Louis, Missouri. Told through eyewitness accounts of men like Jim Bridger, Joe Meek, Nathaniel Wyeth and others, this Teton Valley history places the reader on the ground as the action unfolds. 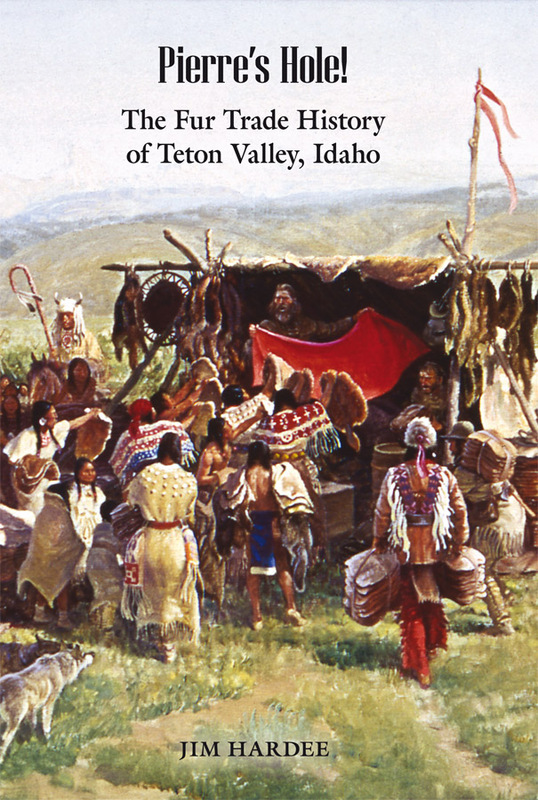 Drawing from trapper journals ( the earliest records of the region ) historian Jim Hardee fills in the presettlement gaps of the narrative: a period when Teton Valley was known as Pierre’s Hole, Snake River was Lewis Fork and the Tetons were the Pilot Knobs. Jim Hardee is the editor of the Rocky Mountain Fur Trade Journal, published by the Sublette County Historical Society and the Museum of the Mountain Man in Pinedale, Wyoming. He is the director of the Fur Trade Research Center and is a presenter for many conferences and symposiums. He has published numerous articles on various fur trade topics, and lives in Pierre’s Hole, Idaho.